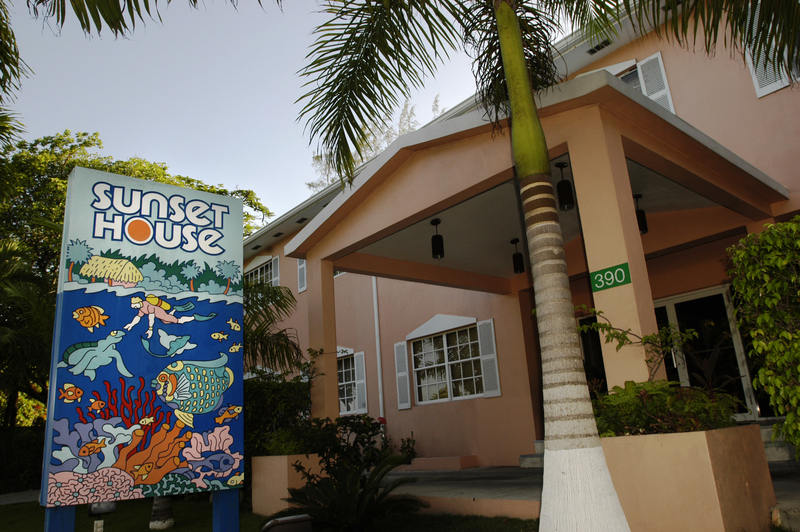 Sunset House offers many amenities for the diving and snorkeling enthusiast. With a variety of mid-bracket rooms, a quiet cruise-ship-free location on a rocky shoreline renowned for its shore diving, and only 15 minutes from downtown, the highly-recommended Sunset House is sure to please even the most avid diver. While they do not have a beach, the pool with a waterfall, jacuzzi, and sea pool with direct ladder access to the Caribbean provides all of the water based activities most snorkelers and divers could ask for. Tired of the water? 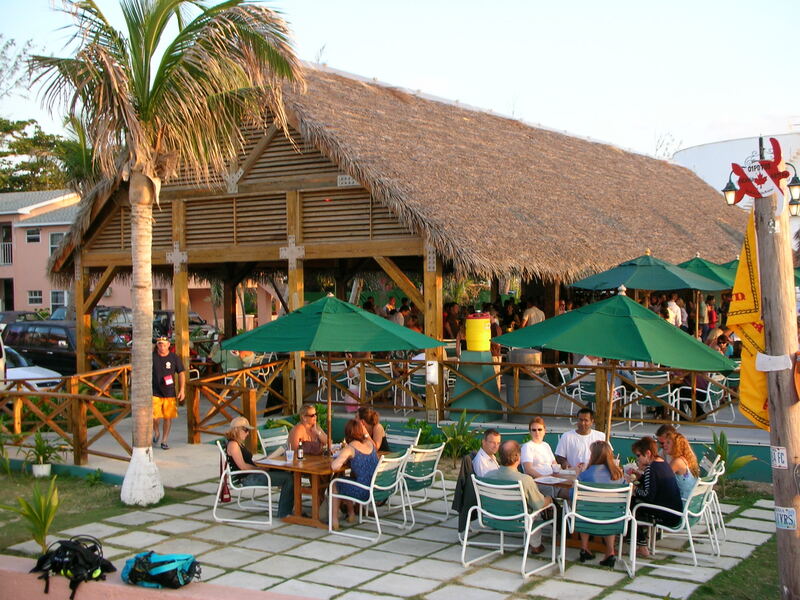 Visit the praised and local-frequented SeaHarvest Restaurant and My Bar. My Bar at Sunset House. This is how the resort got its name. Set on a coastal road about 3/4 miles (1.2km) south of George Town, this is a well-recommended middle-bracket hotel whose rooms are divided among a quintet of two-story pink-sided outbuildings. Accommodations are simple, no-nonsense, and comfortable and are favored by divers and snorkelers who appreciate the jagged, mostly rock shoreline and the extensive diving programs. Sunset House is 100% smoke free in all rooms. If you’re looking for a large resort on the beach, the Sunset House is not for you. 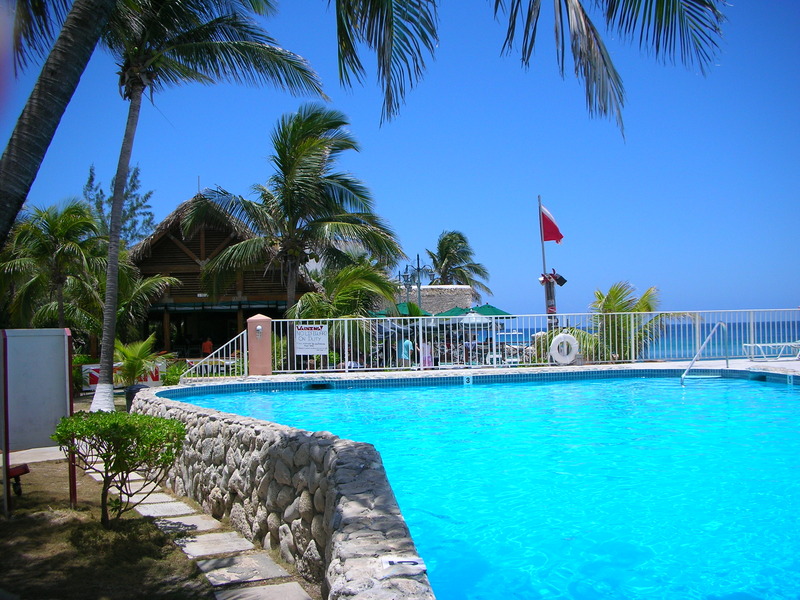 They are an intimate, boutique “scuba diving friendly”, family owned hotel with only 52 rooms. Visitors to Grand Cayman come to Sunset House to escape the world for a while, soak up the sun, sit by the pool, make unforgettable dives and enjoy fantastic food at My Bar overlooking the beautiful Caribbean Sea! 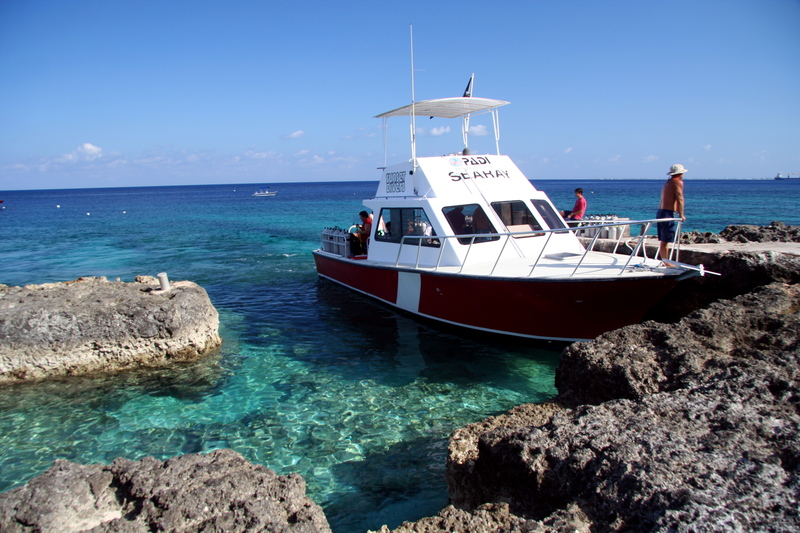 It is important to the resort that their guests explore everything Grand Cayman has to offer. By the time you leave you will have a true sense of staying at a family run dive resort in the cozy Caribbean island is really like. 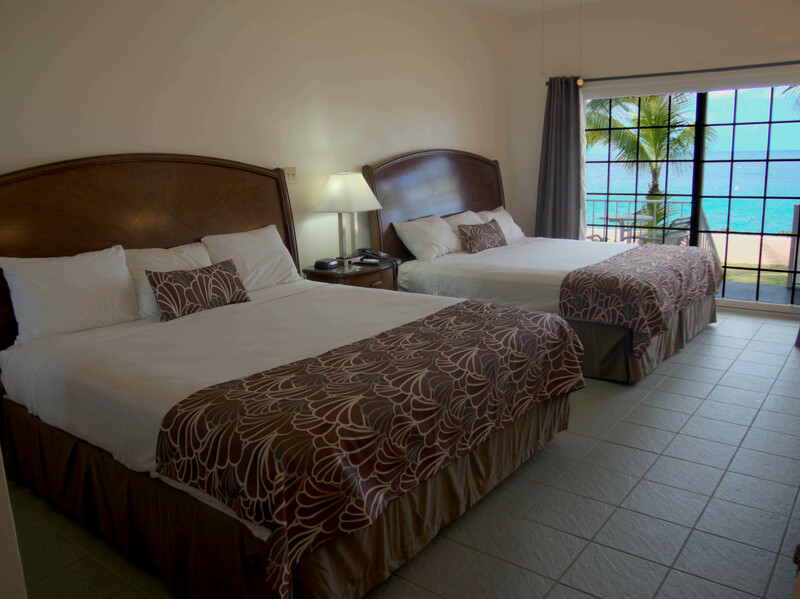 The newly renovated Ocean View Rooms are located on the North end of the property. These rooms offer more space with 2 Queen beds or 2 King-size, digital Hi Def flat screen cable TV, and a private balcony looking out through the palm trees to the sparkling Caribbean Sea! Sunset House has 2 suites available. These spacious rooms are great if you need a little extra space. 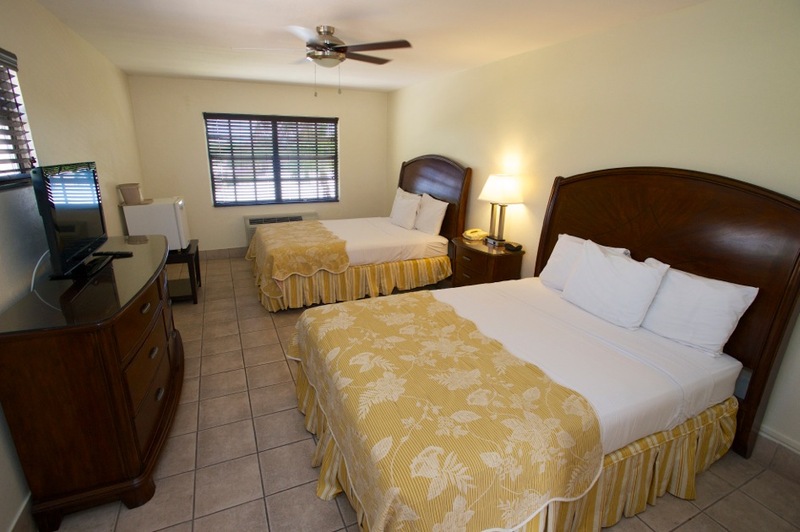 One of the most popular rooms for “cost conscious.” These rooms have a walk-in patio door and are available with 2 Queen or 1 King bed, digital cable TV, air conditioning, and private bathrooms. Most courtyard rooms can access the wireless network. There are courtyard rooms above the front office area and on either side of the parking lot headed to My Bar. There are also eight courtyard rooms in the garden area close to the 400 block of rooms. This room has 2 double beds in the bedroom, a full kitchen, living room and dining room. Great for groups of 4 or anyone that wants to make a few home cooked meals on their holidays. The Apartment adjoins two ocean view rooms on either side for an expanded space. Sea Ray Dive Boat, one of six. 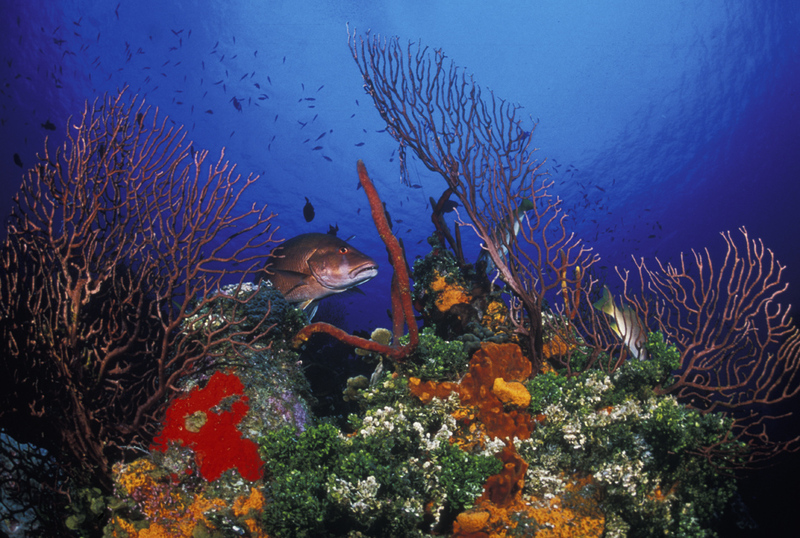 Rising from the ocean bed in the clear waters of the northern Caribbean Sea lies a massive underwater mountain range known as the Cayman Ridge. Three of its spectacular peaks break the surface of the water to form the islands of Grand Cayman, Cayman Brac and Little Cayman. To the north lies the island of Cuba and to the east Jamaica. The water is deliciously warm and the diving is easy. No rivers deposit sediment into the crystal clear waters that are said to be amongst the least polluted in the world. The islands are surrounded by fringing reefs with staghorn coral, canyons, pinnacles, archways and of course, the magnificent walls that provide the necessary protection for all varieties of marine life while still enabling the larger pelagic species to come within reach of the diver. 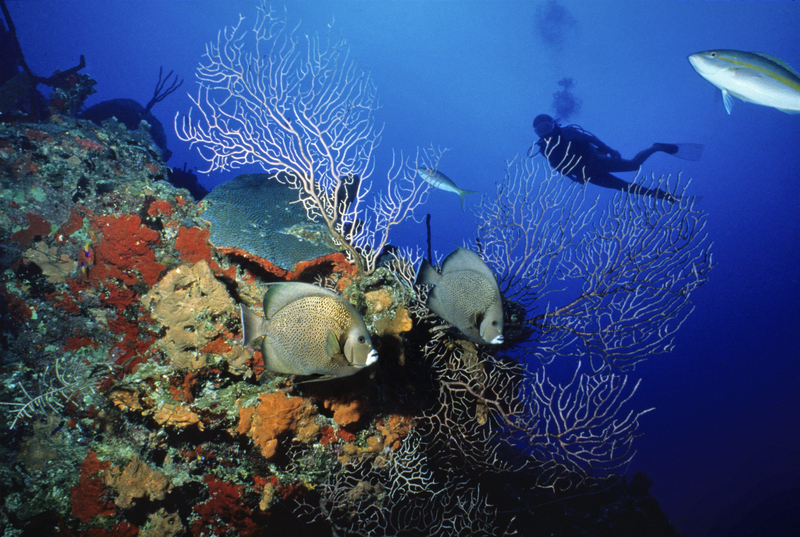 Because diving is such a major part of the tourist industry, diving in the Cayman Islands has become highly organized and very professionally run. The diving industry, together with the government, formed the Cayman Islands Watersports Operators Association (presently called the Watersports Sector of the Cayman Islands Tourism Association CITA), which sets the highest standards in diving safety, boat operation and diving guides. 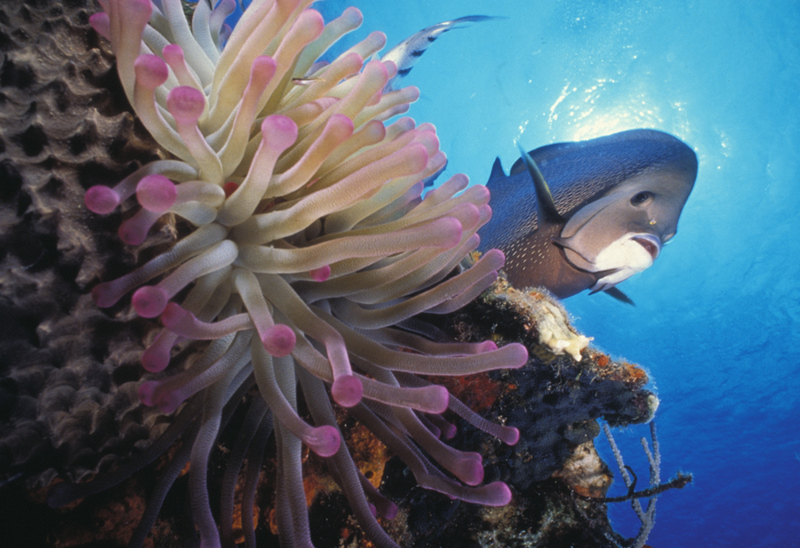 The creation of permanent mooring sites and continuing environmental education all help to preserve the health and delicate ecology of the reefs and their associated marine life. The Cayman Islands 365 dive sites are sure to leave even the most seasoned divers awestruck; with deep dramatic walls adorned with sponges and corals, shallow reefs of fish and small invertebrates, and an assortment of famous wrecks, all in perfect 80 degree Farenheit (approximately 26 degrees Celsius) water. 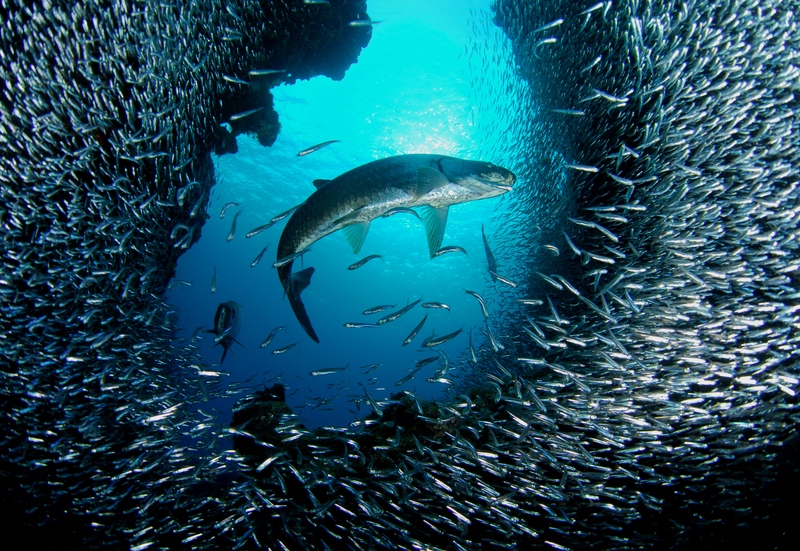 Visibility often exceeds 100 feet revealing some of the world’s most diverse aquatic life. 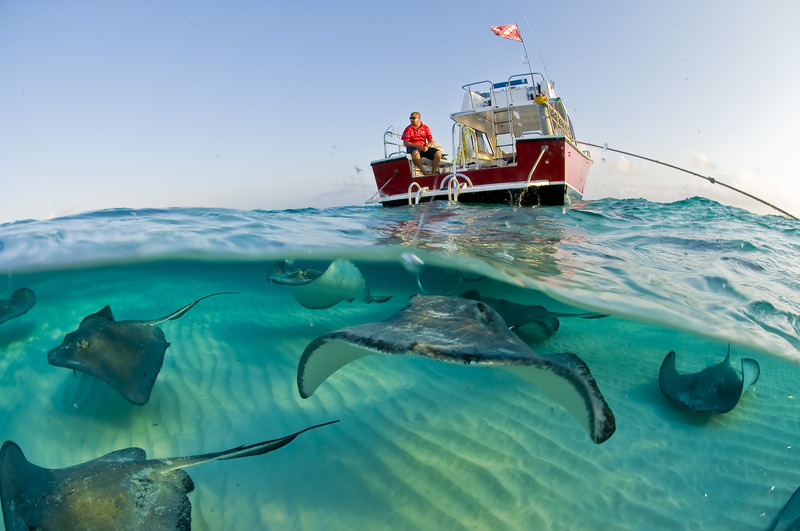 Grand Cayman is home to the worlds’s best 12 foot dive, the legendary Stingray City and the USS Kittiwake. With an abundance of experienced, highly professional Sunset Divers instructors, numerous snorkel and scuba diving sites accessible by boat or straight from shore, Sunset House is the ideal setting to explore or learn to explore the underwater realm. 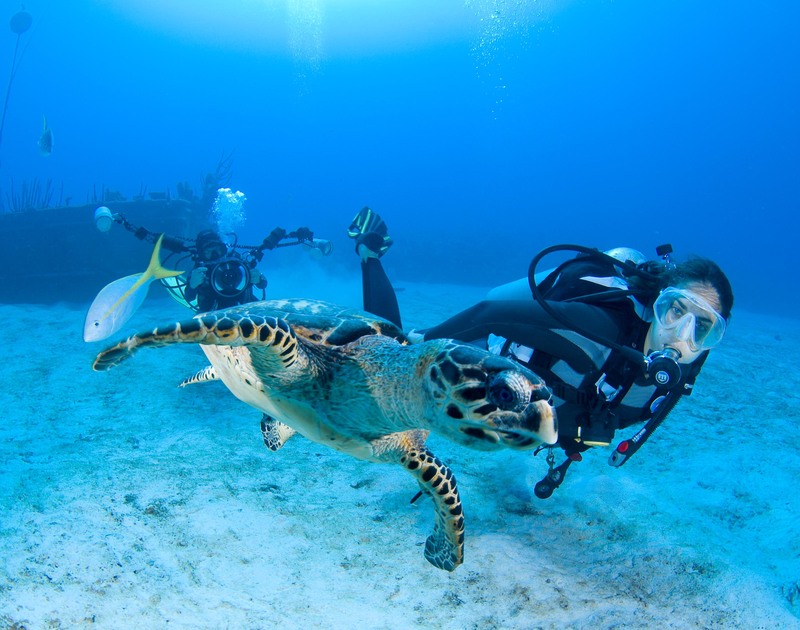 Whether you choose to snorkel or dive from the reef just off shore, seek a thrill filled wreck dive, an amazing wall dive, or want to learn how to dive, Grand Cayman and Sunset Divers has a dive site for you. All of the boats are staffed by highly experienced instructors who are on hand to share their wealth of local hints and tips. And it is never too early to get into the swing of things. Irrespective of your experience level, we have a trip to suit you. 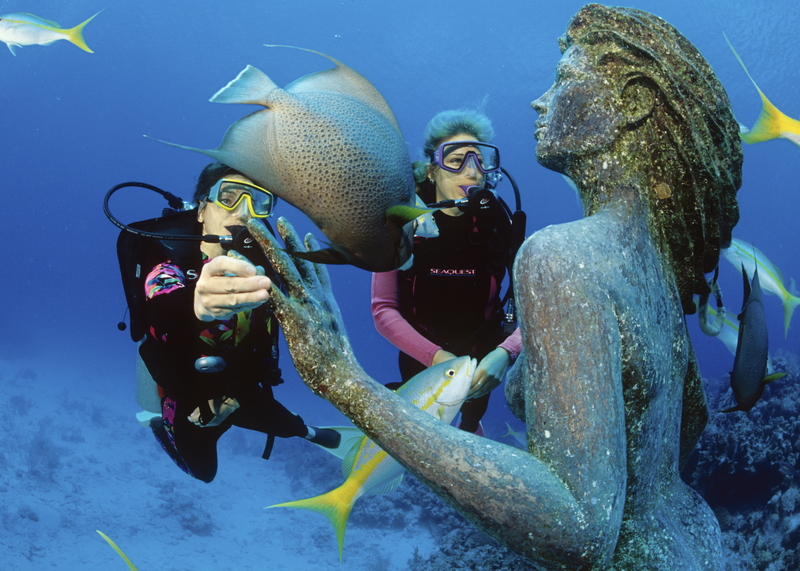 PADI courses are available to help you get the most out of every trip. The professional guides and crew always work tirelessly to make sure your dive vacation is memorable for all the right reasons. 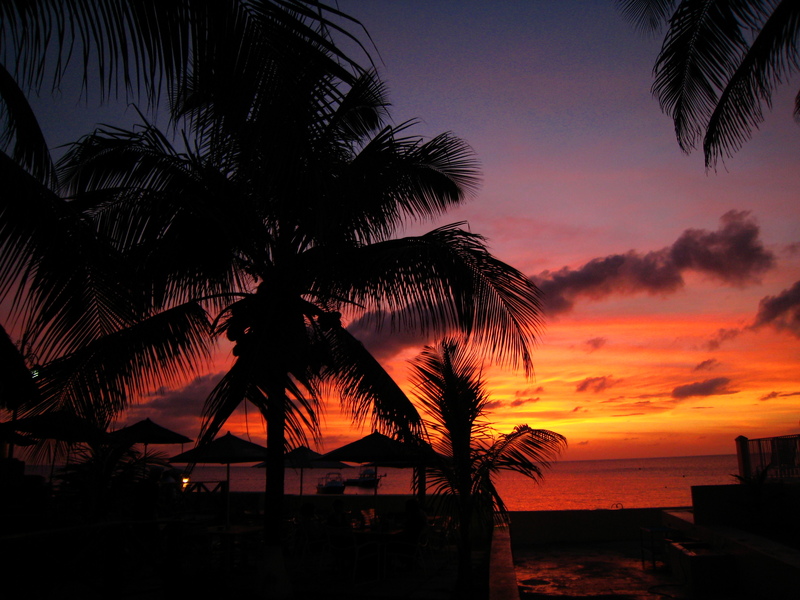 Let Sunset House and Sunset Divers take all the stress out of travel so you can spend more time diving. 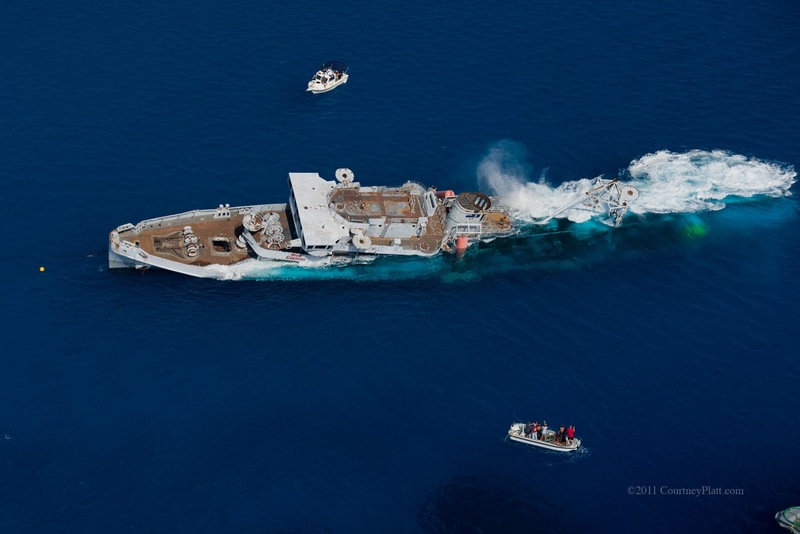 And thanks to their fleet of six custom dive boats and the unique location on Grand Cayman they have the ability to dive the seas that are calm, West or South anytime. Additionally, Sunset House house has a North Side Dock for departing to Sting Ray City, and world-class shore diving right from the property. 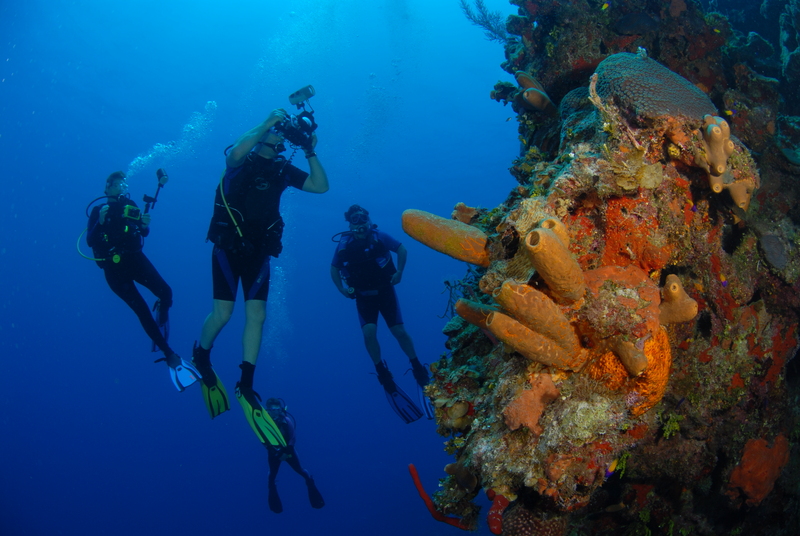 Unlimited shore diving is included in all Sunset House Resort dive packages on days of arrival and paid boat dive days. Sting Ray City from the Sunset House Dive Boat. Sunset Divers have numerous diving options. Take a morning 2-tank dive, then have a sumptuous lunch at My Bar followed by a swim in the Caribbean waters. Or perhaps it’s an afternoon dive, or a night dive. You can make 5 dives a day staying at Sunset House if you wish. The dive shop has a dive site map and the dive staff would be happy to brief you on the highlights of the dive so you don’t miss any of the main features, like Amphitrite, the Siren of Sunset Reef. 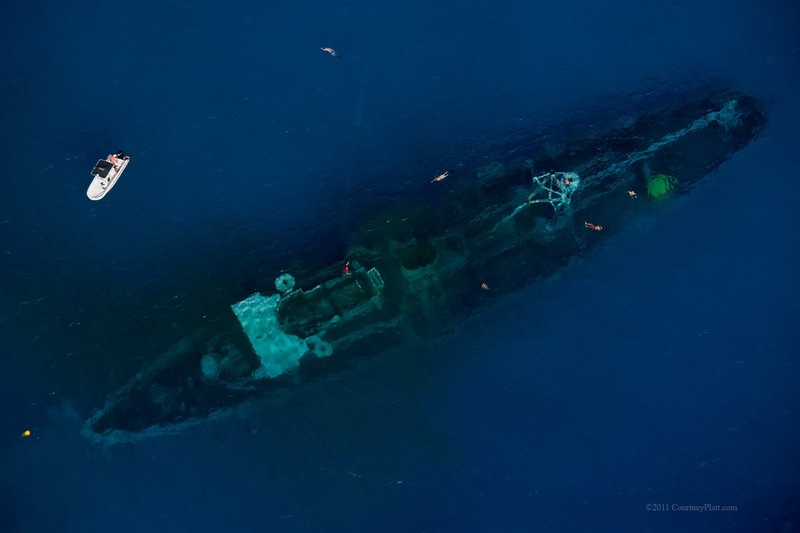 The 9′ tall bronze mermaid statue or the wreck of the David Nicholson. The stride into the ocean for shore dives is about 20 yards from the pool and bar…where you land in 13 feet of Caribbean water. There you can do some buoyancy checks, make sure everything is working and away you go. The resort have resident turtles and eels and even a manta ray has been seen on occasion. The dive shop has a site map for you to look at before diving and guided dives are offered for anyone that would like a little moral support on the first dive.